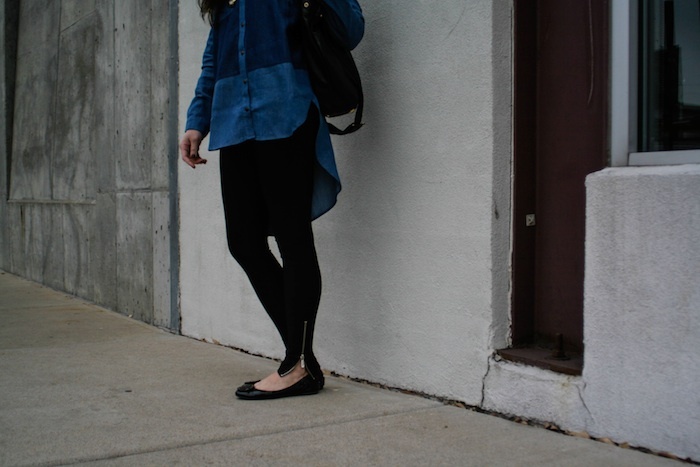 Pairing a chambray top with leggings has definitely been one of my favorite outfits of late. 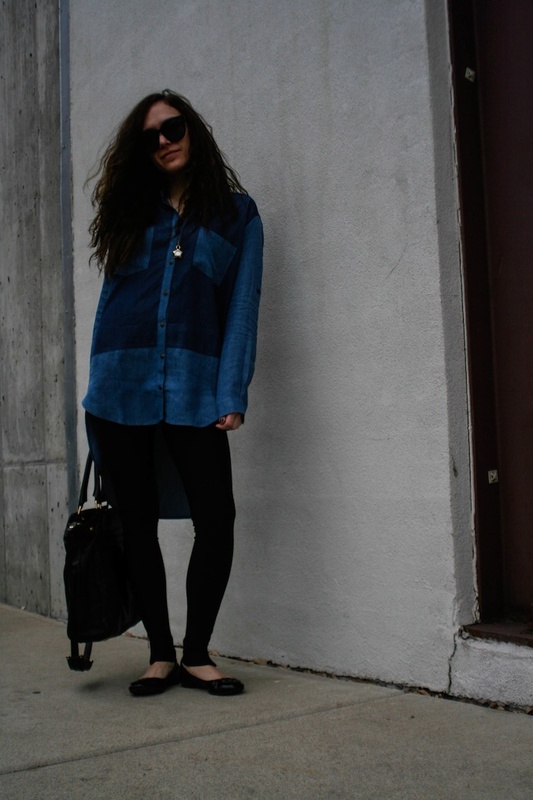 This particular chambray top was my first purchase from StyleMint, and only affirmed my opinion that everything the Olsen Twins touch turns to gold. Have you checked out StyleMint yet? What do you think? Céline sunglasses, StyleMint top, Marc by Marc Jacobs necklace (similar), Rock & Republic leggings (similar Topshop), Tory Burch flats (similar), Marc Jacobs bag (similar). I really your shirt. Have a nice day. 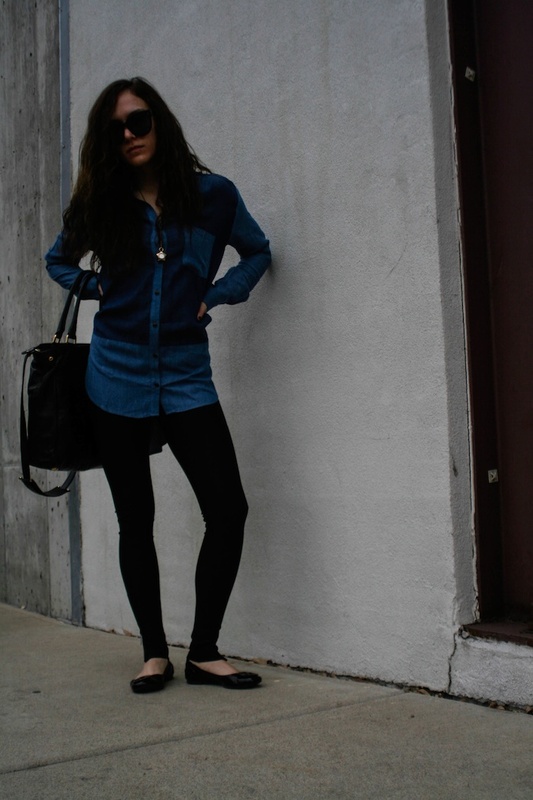 Love you top - love how long it is so you can pair it with leggins and be good to go! That is the kind of low maintenance fashion I love for outside of work! I love the high-low top on you. You look effortlessly chic! una combinación muy interesante de prendas!, las bailarinas con el leguin de cremallera en el tobillo son ideales y que le añadas una faldita negra con camisera azul... un acierto!!!!!! Thank you for following me! Just followed you back! 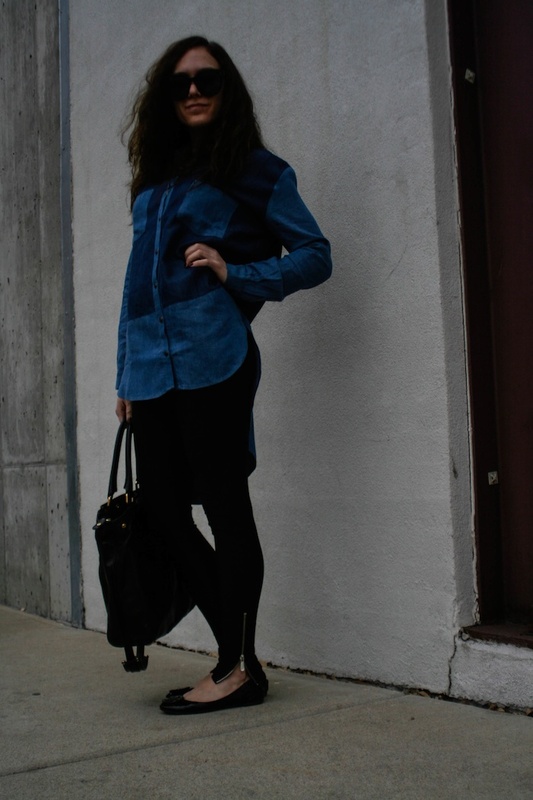 You have some amazing pictures and a great style! Keep up the good work! I bet it'll be great during the summer with shorts too!! Thank you! I love it in the summer!